If you’re reading this, it means that you are getting very serious about taking your songwriting to the highest possible level. While thousands of people merely fantasize about becoming a real songwriter, you’re on the brink of taking a MAJOR LEAP towards fulfilling that dream in your heart of becoming the songwriter you know you were born to be! Fill out this form as completely as possible, including links to three songs on Soundcloud or Youtube of your current work. If you don’t have them posted, simply check the box indicating you are emailing them to us. Don’t worry about the quality of the recording. We look for the quality of the lyrics and melody first, then think about the production values later. After we review your application and sample songwriting, we will contact you by phone or email indicating we would like to schedule a phone interview to meet you and discover what it would be like to work with you towards meeting your songwriting goals. If it seems like a fit we will discuss a personalized game plan for you, as well as fees and payment for this premium mentoring program. NOTE: Demand is very high for this coaching and only a small number of applicants will be asked to join the program. Apply ONLY if you understand that there is a financial investment involved.  If you’re not in a position to invest in yourself, please take advantage of the many free resources we offer at nashvillechristiansongwriters.com such as our excellent podcast. We’re here to serve you and appreciate your understanding that this is for the serious only. Think of this as a personalized master course where you are gaining specialized knowledge unavailable in this way anywhere else. Statistically, personal coaching in any field increases productivity 500 – 800%. That’s why so many actors, athletes, singers, business executives, and professionals of all types are turning to coaching like never before. They understand the transformative power of a personal coach. If you’re ready to experience the power of personalized song coaching and mentoring, fill out this application and we’ll be in touch soon. NOTICE: All applications and song submissions are considered CONFIDENTIAL. Your name, email, and other personal information will never be traded or sold to any third parties under any circumstances. Your information is safe with NCS.